Exactly what were Messrs Sewell and Singleton thinking when they decided that what their brand new school really needed in 1847 was a bell tower? They were in the middle of a desperate fund-raising campaign, trying to sell a revolutionary educational system to sceptical parents (and even more sceptical boys), and had just taken a twenty-year lease on the Hall and grounds at Radley. They had no money, three boys, four staff, and were renting somebody else’s house. Obvious that what the place really lacked (apart from a dormitory, school room, books, salaries, food…) was an iconic structure with no utilitarian function. Great Tom’ the bell of Christ Church, Oxford, is c.5 miles to the north-west. 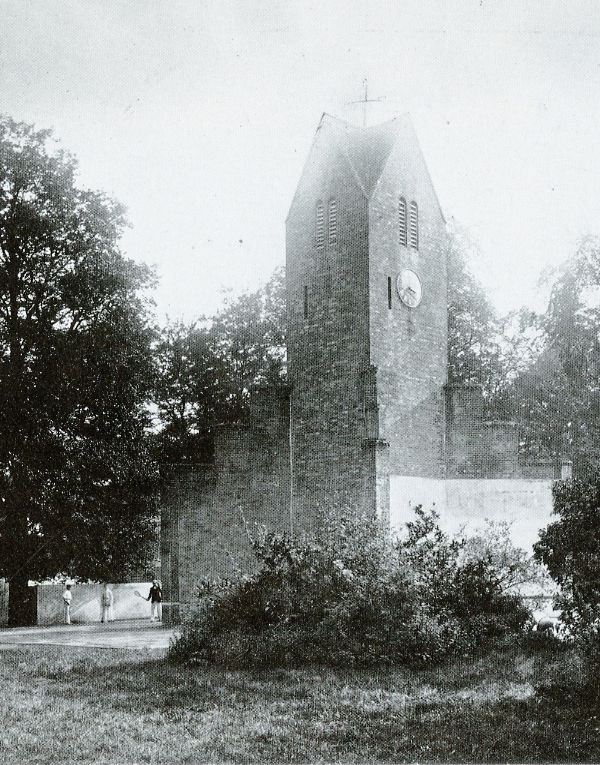 The bell of Abingdon, either St Helen’s or St Nicholas, about 2 miles to the south-west. It is still possible to hear both bells simultaneously on a clear night, although the traffic noise from the A34 masks them by day, as testified by the present security patrol. There is also an [unsubstantiated] anecdote of an irate Don, kept awake through the night by the striking bells, firing a shot-gun to Clock Tower. They had already ordered three bells from George Mears. 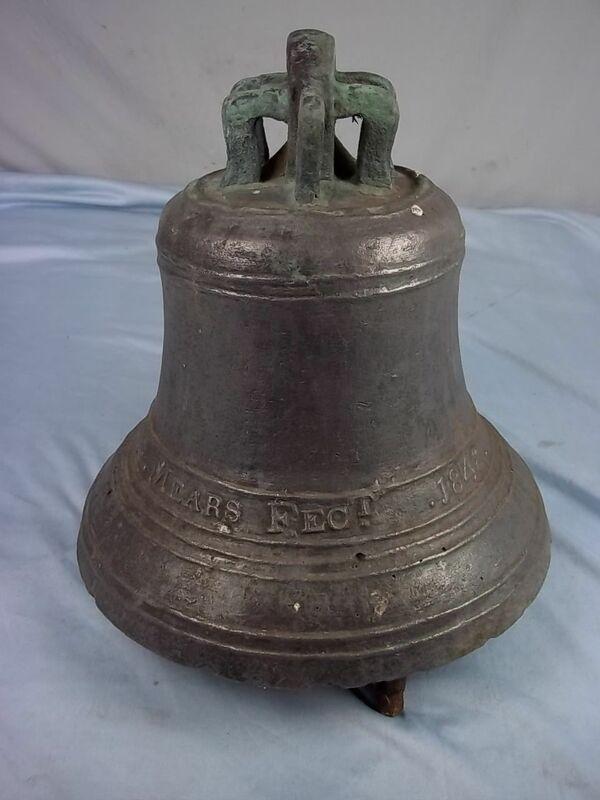 Mears was the pre-eminent bell founder in Britain in the mid-nineteenth century. His company, now known as the Whitechapel Bell Foundry, then operated under variations of the name of Mears and Stainbank or George Mears and Co. It had produced some of the most famous bells in the world since at least the reign of Elizabeth I, including the Liberty Bell in Philadelphia in 1752. In 1847 George Mears had begun work on Big Ben, although it was not completed until the 1850s. 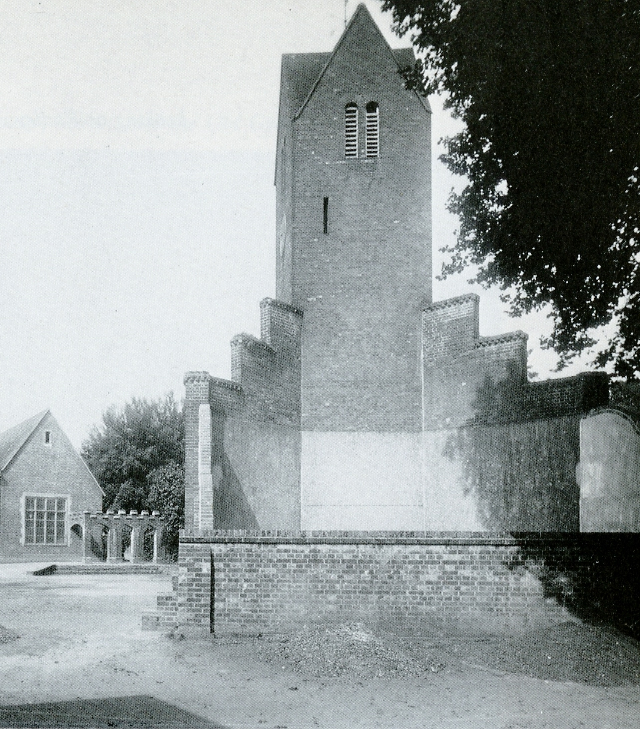 ‘Commenced the Bell Tower, which is to be a simple building of brick, narrow but lofty, – 13 ft wide, and about 50 ft high, terminated by a roof with four valleys. The design is Howard’s, after the German style. I am sure it will look charming. At first it was to have been built joining on to the Venison Larder, for the sake of good grouping, and accordingly the foundation was sunk until a bed of gravel appeared. Mr Johnson, however, was much perplexed at a settle which he had observed in the Larder, and for which he could not account. The foundation appeared to have slightly given way. He therefore determined to sink lower, and thus lighted upon as fine a deposit of building sand as could be found anywhere. … After sinking a few feet, water appeared in abundance; – another great convenience. How very fortunate that we had not built on this spot; the tower would infallibly have come down. The bells have rung the hours since 1847, only being silenced during World War 2, when all bells across the country were used only for dire emergencies. But they did ring out on Sunday 15th November, 1943, to celebrate the victory in the North Africa Campaign. About two-thirds of the boys at the school during those years had never heard them before. No photographs survive of the bell tower in this earliest phase, as a single, unsupported tower without clocks. The earliest image of it is in a letter from Charles Talbot to his parents in 1856. Even then, it is incidental to the drawing as Charles is describing the layout of some railings which lay between the bell tower and the park. At this date the wings must already have been added although they are invisible in the drawing. 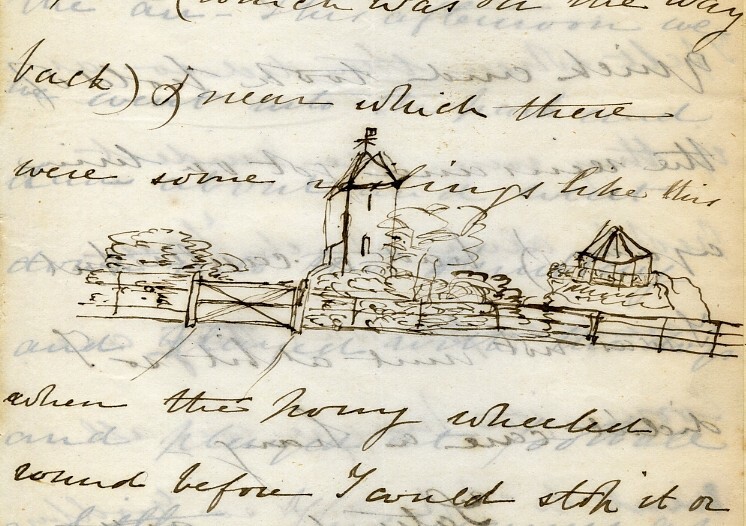 Charles Talbot’s drawing of Clock Tower – A sketch of this drawing was added to the transcript of the letters now in Radley College Archives. The copyist failed to observe that the buttress is clearly visible on the left side of the tower and so omitted it. This caused AK Boyd to annotate the letter with the note ‘this is the only extant picture of Clock Tower before the buttresses were added by Sewell.’ Unfortunately, the buttresses were added in 1855 and letter written in 1856. Therefore there is no extant picture of the original bell tower as designed by Howard and built in 1847. In 1853, amid a crisis in the leadership of the school, William Sewell took over as the third Warden of Radley. Sewell’s vision for the school gave greater priority to the aesthetic and arcadian side of the founders’ joint vision, rather than Singleton’s more austere monastic approach. Nowhere is this more apparent than Sewell’s rapid conversion of the bell tower from a single function building to house the bells for Christian worship, into the central play area of the school. In 1855, Sewell constructed four wings, each projecting from the four corners of the tower. These have occasionally been described as buttresses, and it may be that the tower as originally built was unstable. But the wings were primarily the sides of four Fives courts, with a low wall at the back of each court, only one of which now survives as a boundary wall for A Social Tutor’s garden. The only surviving wall of the fives court. This particular court was reserved for the use of prefects, consequently all other boys were forbidden to cross the court, so had to walk behind the wall. This tradition survived at least until the 1940s even though the court and wall had long lost their original purpose. The courts were painted white, which would have stood out clearly against the red brick. The bell tower courts compensated for the loss of informal Fives courts which had developed in the bays alongside the School Room (now the Library); these were converted into a series of lean-to classrooms in 1855. The opening of the new Fives courts was a grand affair celebrated with a large party, with Mrs Hook, mother of Walter (1851) and Cecil (1855), laying the first stone, on 3rd September 1855. Playing Fives at the bell tower courts became the obsession of Dons and boys. The diaries of both Sewell and his Sub-Warden, William Wood, constantly refer to Fives matches. The smallest boys in the school would challenge Sewell to join their game if he were simply walking past (at least, according to Sewell). Wood’s photo album shows a mixed team of Dons and boys – the earliest sporting photo of Radley. It is unclear whether all four courts were all intended for games. The tower contains a staircase for access to the bells, approached through a double door. This door would have made one court at least unusable for racket sports. By 1894 there were certainly only two courts in use for Squash Rackets, with the suggestion that a third might be organised by laying down stone slabs. The original shop, organised by the boys themselves, was also located somewhere close to Clock Tower. The key spot above the doorway into the tower was appropriated by the parents of Robert Risley, to commemorate his role as the third Senior Prefect of the school, and Senior Prefect under Sewell. Risley left the school in 1855, to go up to Sewell’s old college in Oxford, Exeter. Now it looks an incongruous location for such a key plaque, but when it was erected it was the central, secular place in the school. ‘rumours … there was to be a magnificent erection … with myriad trays of French pastry and French chefs doling out sweets … if tastefully carried out [this] would considerably improve the appearance of the tower…’ (The Radleian 15 November 1892). 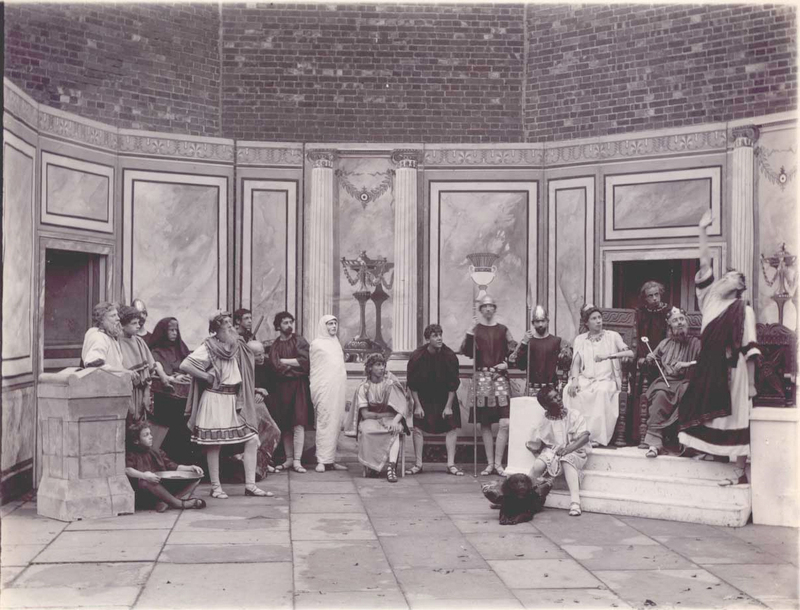 The wings of the Fives courts also made excellent wings for a stage for the annual Latin and Greek plays in the 1890s and 1900s. Swedish drill was practised there by the entire school in 1915. The interior of the tower became a dumping ground for those things no one wants and which cannot be thrown away, such as the broken remains of the Museum. In 1939, Clock Tower was declared a tripping hazard while walking around College during the black-out. The exterior became so much a pedestrian route that it took on the role of a roundabout. 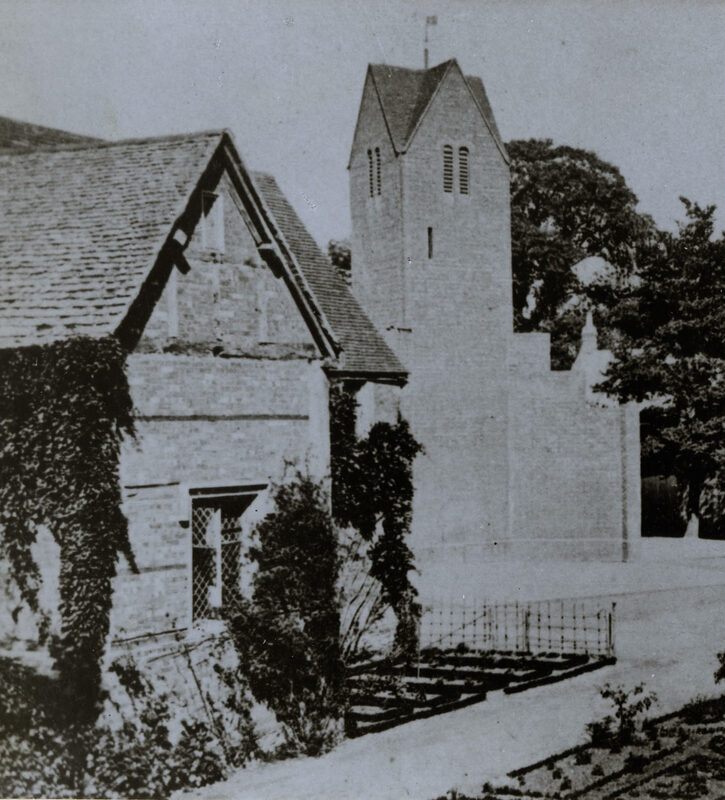 Originally, the tower was surrounded by grass, with a large tree, the home of a rookery, between Clock Tower and the Old Gym. Gradually the grass suffered from being churned up into mud. Squash on the East Court circa 1880. This shift in emphasis from tower to courts is repeated in 1880, when The Radleian printed a correction to an article which had appeared in another school’s magazine, The Lorettonian: ‘We certainly do play Bat Fives on the out-door courts, which are built around a clock tower…’. 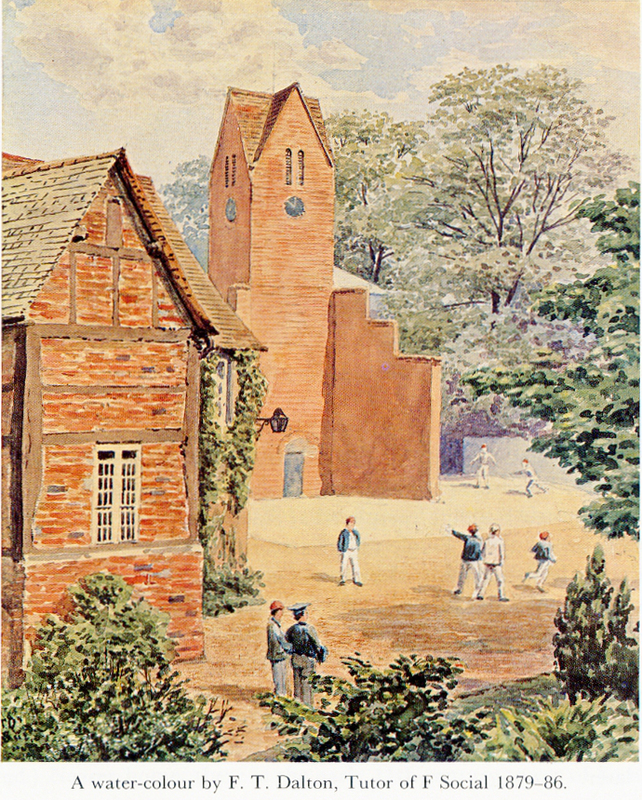 In 1876 the school built an indoor fives court for Winchester fives. This court is still in use. By the 1880s the open air courts around Clock Tower were also being used for squash rackets as well as bat fives. In 1948 the two missing dials were also added. The gift of the clock faces and the electrification was originally anonymous, but the donor died on 8th April 1948, and his obituary revealed his identity. He was George Saunders of A Social, who had been a boy at the school throughout World War 1, 1914-1918. In World War 2 he had served on Field-Marshal Montgomery’s staff in 1945 and was probably instrumental in arranging Montgomery’s visit to Radley in 1947. 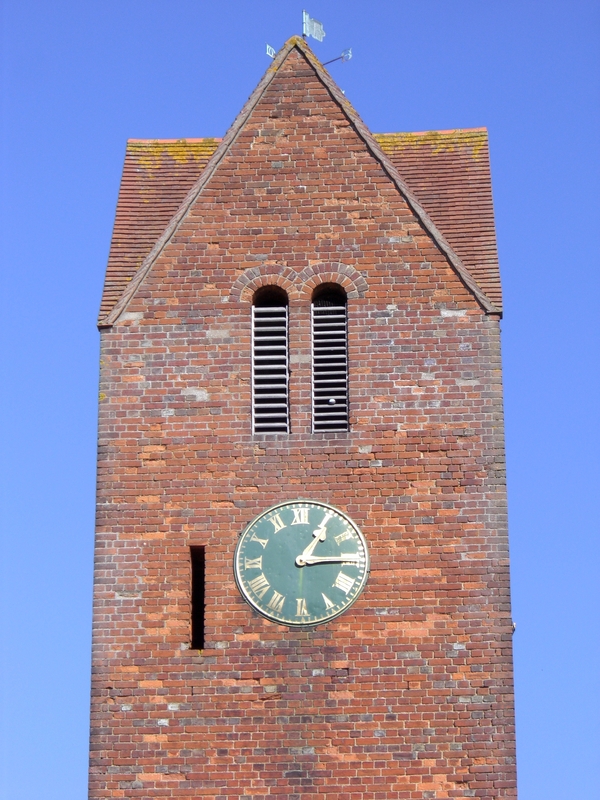 So it took exactly 101 years from Singleton’s and Sewell’s first meeting with Benjamin Vulliamy for their hoped-for Clock Tower to be complete with four dials, three bells and electrified mechanism. As they had hoped, somebody gave the school a present.